Underwater survival game Subnautica has a lot of things that can kill you. As has long been a point of contention among players, you can’t do much to kill things back. This weekend, one of the game’s developers revealed the reasoning behind Subnautica’s lack of lethal weapons. Soooo, anyone wanna explain to me why this is? (probably just a dev choice to prevent you from killing everything and to always make you fear the random bone shark) but if its a dev thing then i would like to know. I haven’t read all the comments here, but I’ll chime in here, as I’m the main reason we don’t have violent/weapons in the game. Subnautica was being birthed right around the time of the Sandy Hook shooting. This was a particularly nasty shooting, although many people don’t realize America has school shootings every day. Every. Single. Day. Yet, for reasons I cannot understand, our people and the corporations that influence our country want to continue making it easy for people to get, carry and use pistols, semi-automatic and fully-automatic weapons. I’ve never believed that video game violence creates more real-world violence. But I couldn’t just sit by and “add more guns” to the world either. So Subnautica is one vote towards a world with less guns. A reminder that there is another way forward. One where we use non-violent and more creative solutions to solve our problems. One where we are not at the top of the food chain. The response has been met with both praise and criticism by users on the Steam thread, with people debating gun control, as well as Subnautica’s lore and balance. While deciding not to add guns to a game is unlikely to have massive real-world ramifications, it’s refreshing to see developers be intentional about their ubiquity in so many modern games. 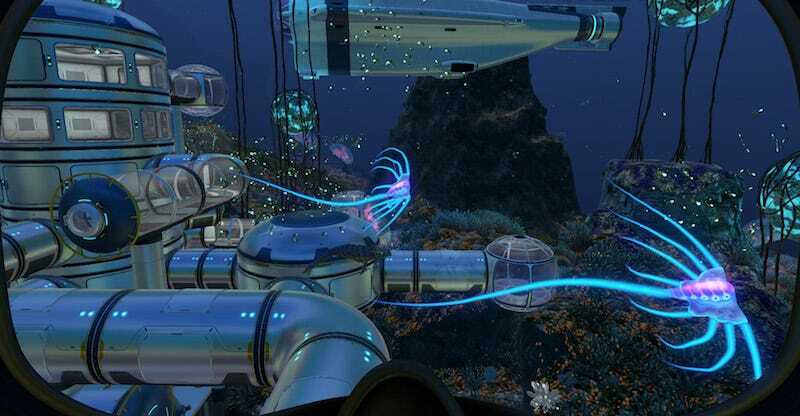 Whether video game violence leads to violent behavior has long been a topic of debate, but Unknown Worlds has decided to eschew weapons in favor of exploring how people can live with— or, as is usually the case in Subnautica, in spite of— their environment.